Wow! 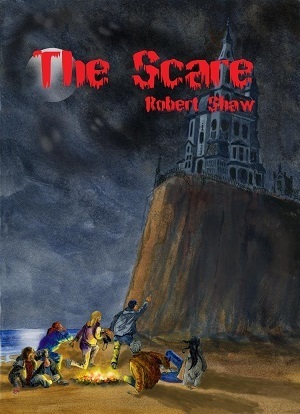 The aptly named The Scare by Robert Shaw kept me up at night… reading! The Scare is well written and engaging. I wanted to see what would happen next and the intensity of it held me captive. The protagonist, Ethan, is haunted by the murder of his little brother. He finds someone who understands in a new girl who moves to town with her own closet full of skeletons. They share broken pasts and try together to survive the present where the local bully torments everyone at school but has turned his sights on Ethan and his friends. When a series of grisly murders begins, Ethan suspects the town bully but doubts that anyone would believe him especially now that the town bully is dead. If you haven’t yet read this… buy a copy. I’m not sorry that I did! This entry was posted in Lauren's Book Reviews and tagged book reviews, Robert Shaw, young adult authors by Lauren Lynne, author. Bookmark the permalink.